At the junction of Dimitrios Gounaris and Philippou streets, about a hundred meters above the arch and on the same axis with it, rises the so-called Rotonda, one of the oldest and most imposing monuments of Thessaloniki. The building owes its name to its circular shape; it is a perikentro-shaped building of internal diameter 24.5 m and height 29.8 m, with a large hemispherical dome on the roof, which is externally covered by a conical roof. Within the monument, at the base of the cylindrical wall, there are opened eight large square conches covered with arches, as well as eight smaller conches resembling with chapels. The construction of Rotonda is placed around 300 AD; it was held by Caesar Galerius, one of the four rulers of the vast Roman Empire and Commander of the Balkans, who in the late 3rd century chose Thessaloniki as his place of residence and as the seat of its province .Concerning the purpose of the building, there have been two basic views: according to the first, the building was created to serve as a mausoleum for Galerius, who eventually died and was buried away from Thessaloniki. According to another version, which is the most prevalent, the monument had religious function and was a temple dedicated to Zeus or to Cabeirous. Undoubtedly, the building was part of the vast palatial building complex of Galerius that developed in the southeastern part of the Roman city. In the early-Christian period, perhaps during the reign of Theodosius the Great (379 395), Rotonda was transformed into a Christian church, probably in honor of Asomates or Archangels, facing major additions and modifications,in order to meet the needs of the new religion. On the east side of the building, there was attached a rectangular area with a semicircular arch (Holy Sanctuary),on the west there was built a new entrance with a narthex, on the south there were added two chapels,while around the monument there was constructed a closed circular roofed arcade. In addition, the building was decorated with mosaics of brilliant art and excellent quality, which are indeed the oldest wall mosaics of the East, works of a great artistic laboratory of Thessaloniki. 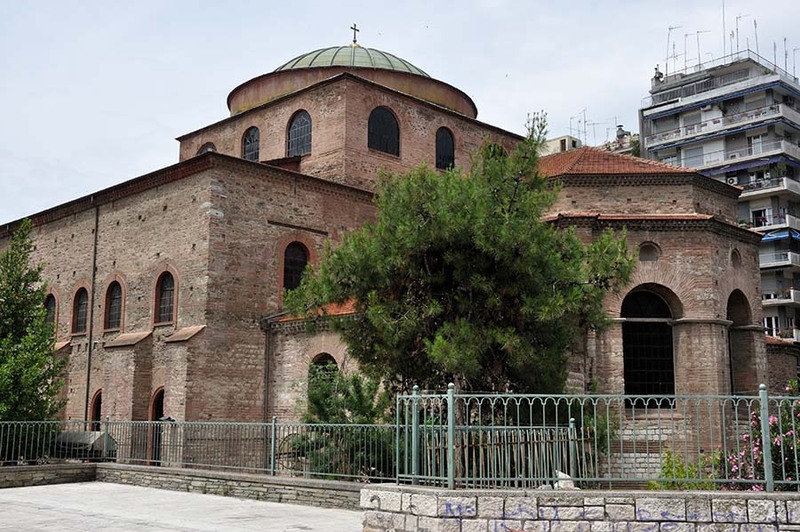 Rotonda was from 1523 until 1591 the metropolitan church of Thessaloniki, while in 1591 it was captured by the Turks and was transformed into a muslim mosque. The Ottoman Empire did not induce serious damages to the building, but it left its marks, with most evident the minaret, that was built on the west side, the only one surviving today in the town. 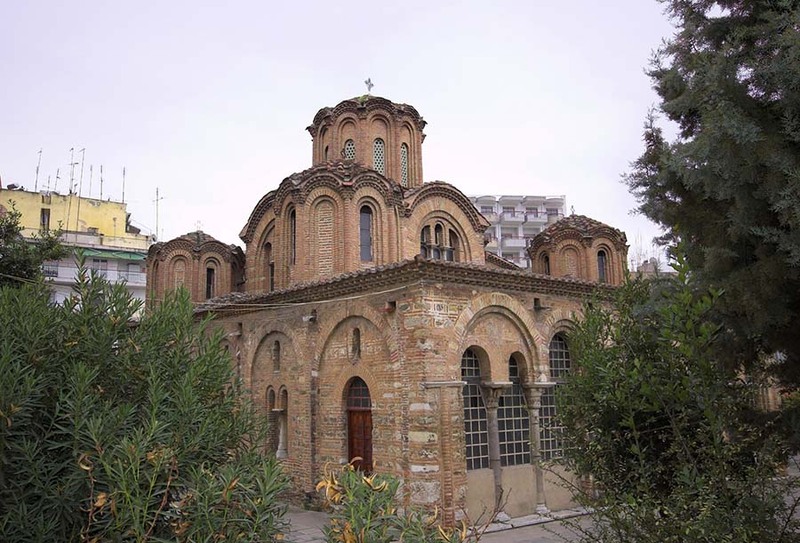 After the liberation of Thessaloniki in 1912, the building was handed back to Christian worship, and in 1917 by edict of Eleftherios Venizelos, it was transformed into a "Macedonian Museum." Since then, Rotonda served as an exhibition and museum area, and occasionally it worked as a temple. The earthquakes that hit the city in 1978 caused serious damage and harm to the monument, which suspended any use of it and imposed extensive maintenance, restoration and reconstruction works. 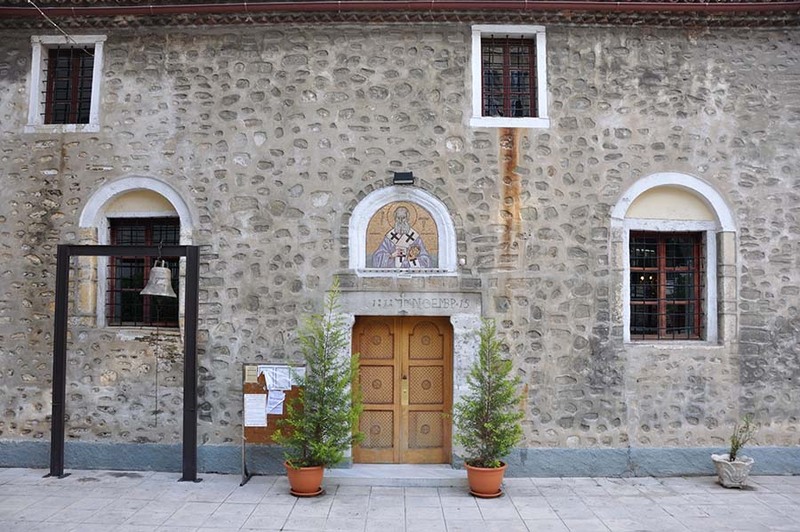 Rotonda is now known as "Agios Georgios", name that is due to the small chapel of Agios Georgios, which is situated opposite the west gate of the building’s enclosure.